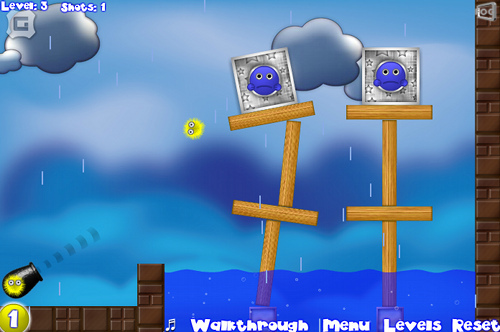 Description Shoot as few balls from your cannon as possible to make the color of each box match the color of the character inside. Things aren't as simple as they seem, Teleporters, Gravity Wells and Trolley Carts make your job more difficult. Controls Use the mouse to aim and shoot the balls, use the number keys to switch color when needed.